Fitness Shadow, a Long Island In-Home Personal Training service offers in home services to those who prefer to workout at home with the guidance of certified personal trainers. 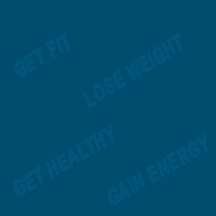 Fitness Shadow helps clients lose weight, gain lean tissue, increase energy and confidence without leaving their homes. They are now offering services to brides and travelers in Suffolk County, New York. According to a WebMD article entitled “Best Ways to Get Buff Before Your Wedding,” Sue Fleming, creator of the original Buff Brides book says, “The wedding is the trigger that motivates many women to get in shape, and the best part is that many women continue long after that march down the aisle”. Fitness Shadow encourages brides to begin working on their fitness goals well in advance to ensure they lose weight and get in shape in a healthy and proper manner. Healthy weight loss equates to approximately 1 – 2 pounds a week with proper diet and training. “Our Business model focuses on performing in-home personal training to those who don’t have the time or will to go to the gym to get in shape. We’ve expanded our focus by realizing the need for brides to feel and look great on their wedding day. Fitness Shadow looks forward to working with the Hilton Garden Inn to bring a valuable and needed service to their clients through an exclusive pricing agreement. Brides, grooms and bridal parties can all look forward to a convenient way of adding fitness to their lives,” said Mark Falk, President and Owner of Fitness Shadow. Fitness Shadow, In-home Personal Training offers personal training services in Long Island, NY. We Bring Fitness To You. There's no hassle, no driving, no babysitters, No More Excuses, Just Fitness Results. We train those at any fitness level. Lose weight, build confidence, increase energy, and gain muscle. Learn to incorporate fitness into your lifestyle to make you happier, and healthier! Personal Fitness Training services are available in Suffolk County. Find us at www.fitnessshadow.com, or for travelers, go to www.fitnessshadow.com/hotel.